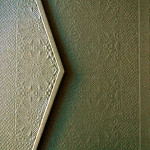 (on the Home Page and seen above) is Persian. It is my understanding that It means “the end line of a poem”– a line that is added to add musicality to a poem. I like to think of it as meaning, “Amen.” This blue header graphic has been taken from page 84 of the Dîvȃn-i Kebîr, Meter 1, of Mevlȃnȃ Jalȃluddin Rumi, translated by Nevit O. Ergin, Turkish Republic Ministry of Culture, & Current, Walla Walla, WA, 1995.
on the About Page is from the same source, page ii. are all taken from the Replica of the Hasan Ibni Osman-al Mavlavi Dîvȃn, which is mentioned in item number (1) of the Translator’s Note below and available for purchase in our Book Store and on Amazon.com. (A more detailed written description including background details are included in our Book Store.) It is my understanding that all of the text included in the graphics is Persian. I am unaware of the meaning of said text; its Inclusion is not meant to create any controversy of any kind. 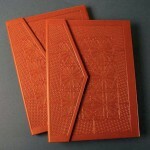 The Two-Volume Replica of the Mevlana Museum Dîvȃn-i Kebîr, which was compiled in 1367-1368 C.E. “This is a humble attempt of an English translation of the late distinguished Turkish Scholar Abdülbȃki Gölpinarli’s (d. 1982) seven volumes of the Divan-i Kebîr of Mevlȃnȃ Celȃluddîn. Page from Divan-i Kebir No. 67 & 68, housed in Mevlana Museum in Konya, Turkey. 1. 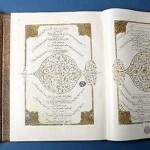 Two volumes of the Dîvȃn which were compiled between July 2, 1367 and October 13, 1368 by Hasan Ibni Osman-al Mavlavi. This Dîvȃn has 290 pages, and the volume dimensions are 0.325 x 0.47 meters. 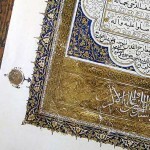 It is registered at the Mevlana Museum in Konya as No. 68 and No. 69. 2. 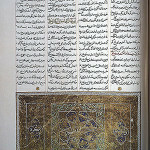 The Dîvȃn registered at the Library of the University of Istanbul, No. 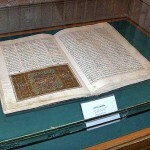 334, which was compiled in the 15th century. 3. 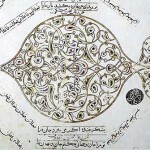 The Dîvȃn owned by Gölpinarli, prepared in 1691 in Baghdad. 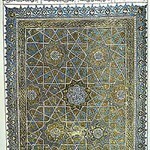 Later, this Dîvȃn was donated to the Mevlȃnȃ Museum in Konya. There are many other versions of the Dîvȃn-i Kebir, but these are the most dependable ones. Mevlȃnȃ did not write, but rather recited the poems. Most of them were recorded by assigned people called Secretaries of Secret (Katibal esrar). 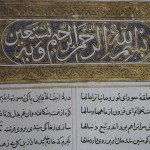 The Dîvȃn’s language is 13th century colloquial Persian. However, there are numerous gazels, or poems, written in Arabic and Greek. 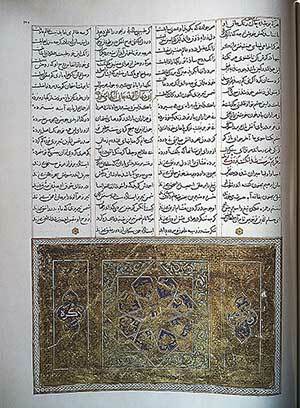 In addition, there are Turkish words and phrases spread through-out the Dîvȃn’s pages. There are 21 meters in the Dîvȃn. 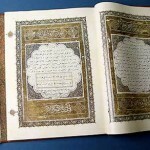 The first [Gölpinarli] volume has 12,493 verses; the second has 4,052, the third has 4,526, the fourth has 4,180, the fifth has 6,684; the sixth has 4,002, and the seventh has 8,921. 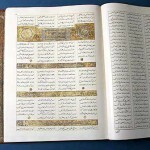 All together, the Dîvȃn has 44,829 verses. (quatrains), these are taken from Mevlȃnȃ’s Rubaîlȃr, also translated by Nevit Ergin from Gölpinarli. It is being published in Turkey – in Turkish, Persian, and English – in 2016. 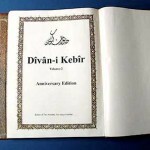 Twenty-one of the 22 volumes of Ergin’s translation of the Dîvȃn-i Kebîr are available in our Book Store and Amazon.com. Dîvȃn-i Kebîr Meter 9 is currently out-of-print.